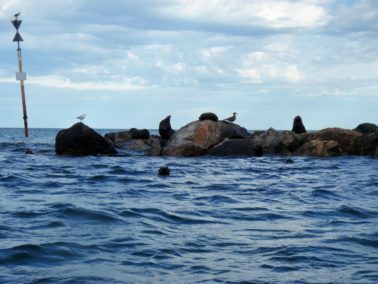 Fur Seals and Sea Lions on the Outer Harbor Breakwaters | Marine Life Society of South Australia Inc. 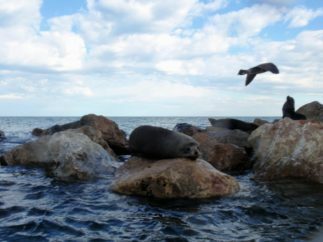 Thanks to Dr Mike Bossley, we now have an electronic copy of the paper titled “Fur seals and sea lions (family Otariidae) on the breakwaters at Adelaide’s Outer Harbor, South Australia” co-written by Peter D. Shaughnessy, Mike Bossley and A. O. Nicholls (CSIRO PUBLISHING Australian Mammalogy, 2018, 40, 157–161 https://doi.org/10.1071/AM17001 ). The paper states that people frequently ignore the approach limit of 50m* set by the South Australian Department of Environment, Water and Natural Resources for seals and sealions. 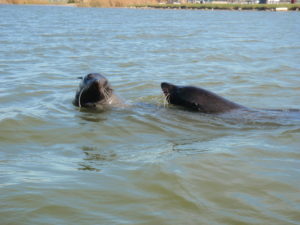 It also states that it will be important to ensure that seals using the Outer Harbor breakwaters are protected from disturbance in the near future. The paper concludes with comments that a management plan should be developed speciﬁc to seals utilising the Outer Harbor area. It suggests that the ﬁrst step should be a study of the effect on seals using the breakwaters of approaching boats to determine the appropriate width of a buffer zone. It says that that should be followed by a management regime involving education coupled with enforcement. 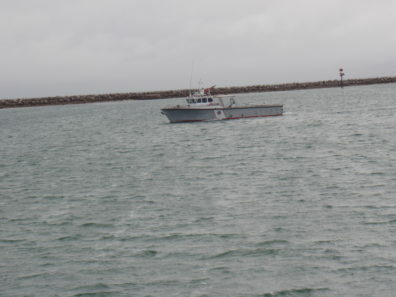 It suggests that “rangers of the Adelaide Dolphin Sanctuary could improve education of boaters about approach distances by distributing pertinent educational material at boat ramps and, while on water patrols, to boaters at the breakwaters” and “Signage on the breakwaters could also assist, and that would require consultation between managers of the breakwaters (Department of Planning, Transport and Infrastructure) and managers of the seals (Department of Environment, Water and Natural Resources**)”. 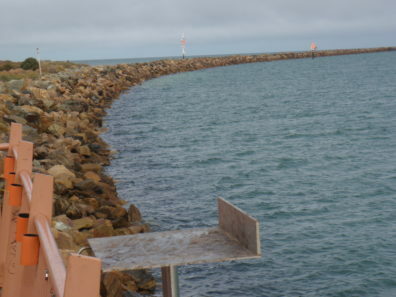 Mike Bossley reports counting 48 seals on the northern/outer breakwater at Outer Harbor on 1st August 2018. 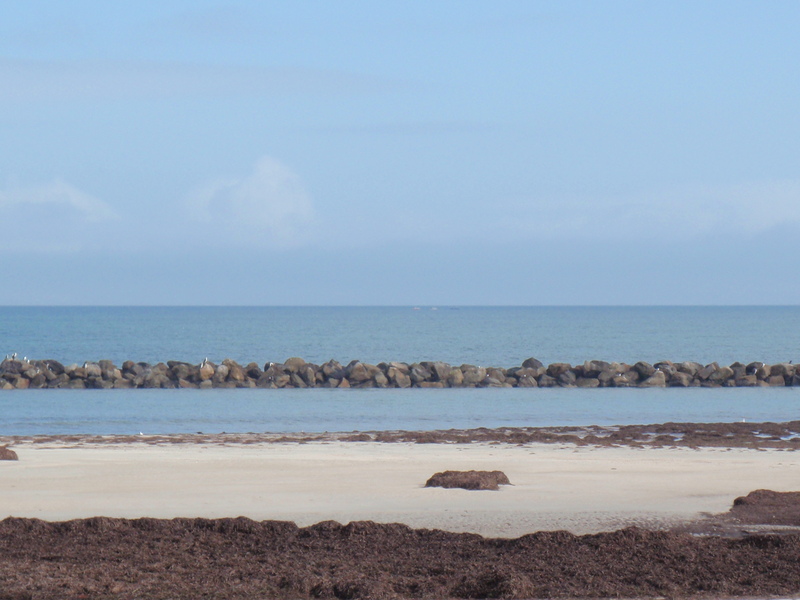 I saw at least nine seals on the Semaphore South breakwater during my brief kayak there on 23rd July. My landlord tells me that there are often as many as 15 seals there at any one time. “Hi MLSSA, I am a Semaphore resident and I love these seals. I currently work at sea as a Cruise Ship Director but am returning home soon and i want to get in touch with anyone wanting to run a study on these seals. Also looking at funding it with a tourism venture- swim with seals, etc… after an incredible encounter with the seals and a small pod of 5 dolphins last summer. My friends and i were out kayaking and I took them to see the seals. We paddle up and then raft together the kayaks watching the seals thermo-regulate. they then went fishing for their lunch just in front of us before being joined by first 2 dolphins and then 3 more. 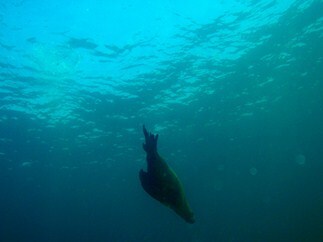 I want to safe guard the seals and also raise awareness of them and how to act around them. Can you help by pointing me in the right direction? Simon later told us, “I’m putting together a plan with three sequential objectives. 1- raise awareness and educate about them. 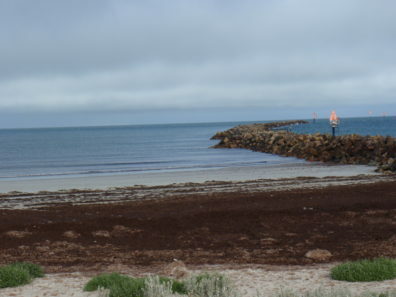 The seals are turning out to be as big an attraction in the Port Adelaide area as the local dolphins, it seems.